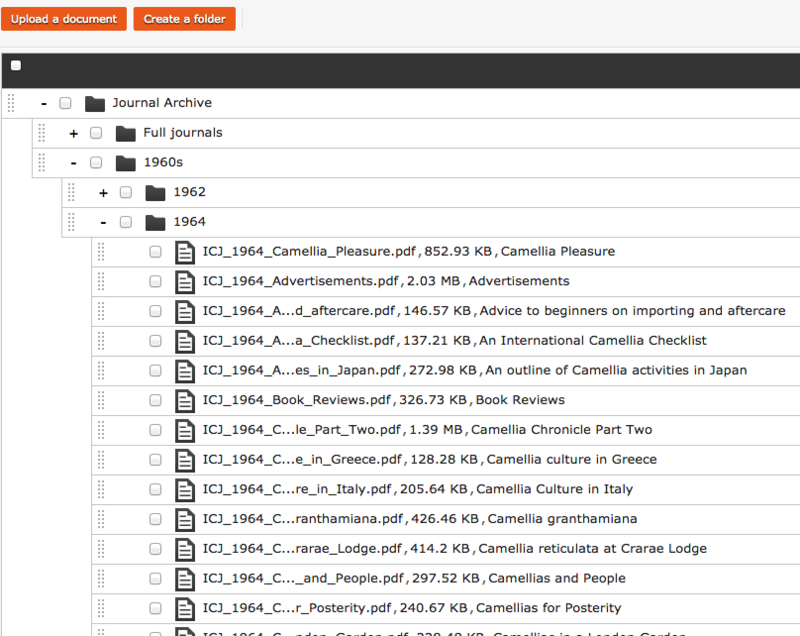 Upload documents to the Zenario document manager, either via your computer or from Dropbox. Each document can then be assigned a folder that is displayed in a hierarchy view. Each document can then easily be found by administrators. Datasets can also add fields of information to documents for example you could add in the Volume, Edition and Year of the documents and then display this on the front end as well. You can use a document container on your website to give access to single or multiple documents. Making it easy to share files with site visitors. When a document is uploaded Zenario will scan it to both find an image within the document and also an extract of what is inside the document (if text based). This saves a lot of time when showing the documents on the front end as an image will already be assigned to it. Should you want to change the image then there is also an option to upload your own image for that document. Zenario allows you to upload a document to a specific user, who can then view it on their site profile. For example if renewing a contract with an employee, Zenario can make the document confidential and only display it for that particular user. This is done via a secure method using a secret link to the user that will expire after a few hours, it can also be done via the users IP address to make sure that the the file can only be seen by the person you want to see it. You can also define wether it's shared to all extranet users, members of a group or with the addition of custom e-commerce modules, can be sold online.